Deerfield Associates Executive Search, Inc. recruits and places exceptional candidates for senior level administrative positions at colleges, universities and independent schools, both nationally and internationally. Established in 2001, the firm has successfully conducted and completed 400+ searches. Over 88 percent of our 124 clients return to us for additional search work. A strategic overview of the hiring profile. A first rate, creative, energetic and pro-active recruitment process. A professional and in-depth assessment for each candidate presented. Constant attention to finding the best candidate. Assurance that our clients and candidates receive the highest level of personalized service. The resources necessary to get the search done in a timely manner. Each college, university and independent school has unique qualities and needs. Find out how Deerfield Associates Executive Search, Inc. can select the best professional for your organization. 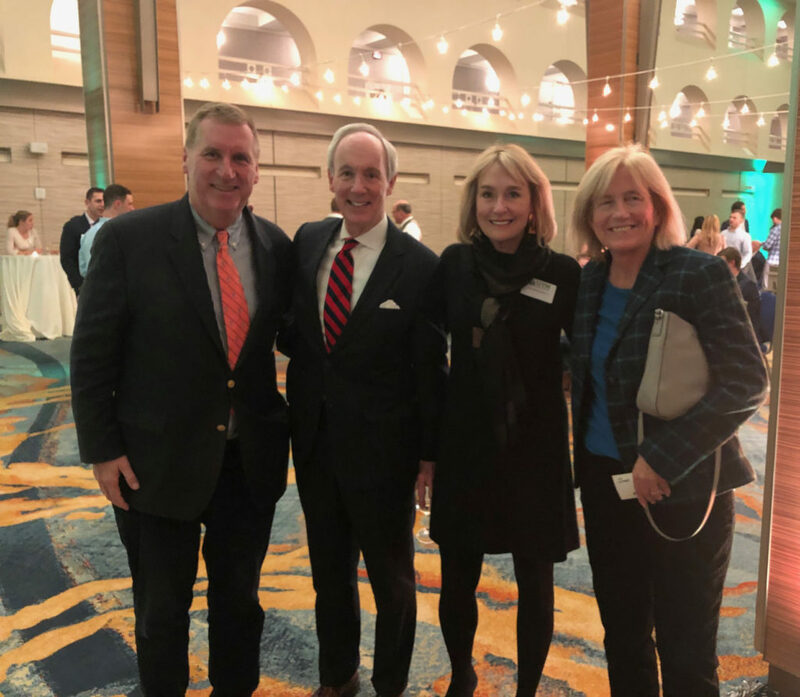 University of Vermont President Tom Sullivan and his wife Leslie welcome UVM current parents Doug & Joan Cooney to the Boston holiday party. Chris Cooney is in his senior year as a Catamount! President Sullivan is stepping down from his current position in 2019. Tom and Leslie have our very best wishes going forward.